The holiday season is among us. Christmas, Hanukkah, Kwanzaa, or whatever day you’re celebrating all give you the opportunity to find thoughtful presents to give your friends and family. Unique DIY gifts give you the opportunity to show off your crafting ability while also making your holiday gifts even more special. 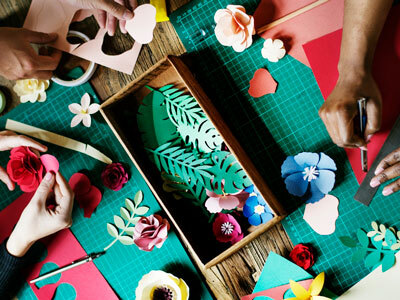 A DIY gift gives you the opportunity to be both unique and creative, while also showing off some skills you maybe didn’t even know you had to begin with! Sewing, knitting, creating artisanal soaps, creating a fun game, or making a glitter bath bomb are all some possible ideas for you to try out this holiday season. It also makes the gift even more special, since you were the one who designed and created it! From New York Times bestselling author Alice Hoffman and master knitter Lisa Hoffman comes Faerie Knitting, a magical melding of words and yarn where the ordinary is turned into the extraordinary and where imagination becomes creation.The magic of storytelling and the magic of knitting—woven together in 14 original patterns inspired by each story. “How fairy tales are told and remembered has a great deal in common with knitting traditions. 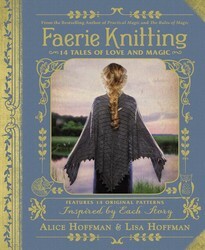 It is no mistake that we describe storytelling as knitting a tale, or weaving a story, or spinning a yarn.”—Alice Hoffman, from the Introduction of Faerie Knitting Featuring fourteen original fairy tales, Faerie Knitting is an entrancing collection of stories of love and loss, trust and perseverance. 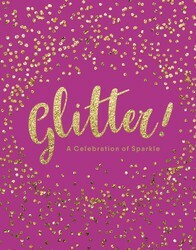 Indulge your shiny side and embrace your glitter obsession with this collection of all things sparkly—featuring history, trivia, quotes, and tips on how to use glitter safely and responsibly to decorate your clothes, your home, and your body! Once confined to the craft aisle and the hands of children between the ages of three and nine, glitter has migrated to adults of all ages and incomes—who enthusiastically decorate their hair, faces, and bodies with it, bathe in it, and, of course, craft with it. But glitter is more than something you use or look at, it’s a lifestyle—a state of mind for people who want to sparkle and shine inside and out. Filled with tons of fun ideas for glittery craft projects—including glitter lip balm and eye shadow, glitter shoes, glitter bath bombs, glitter slime, glitter drinking glasses, and more! 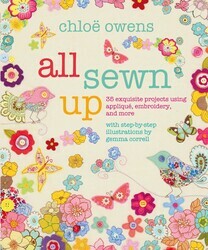 All Sewn Up brings you 35 colorful and unique crafty ideas, using a wide variety of sewing techniques – from embellishment and adornment to freehand embroidery – that are forward thinking but still inspired by vintage style. If you like animals, make George the giraffe, or an owl pillow, decorated with pretty stitches. Gifts to sew include a raindrops and rainbows mini quilt that friends will love to receive. If you adore long lie-ins then sew the sleepy head pillow with appliqué embellishments, or a Holly Golightly-inspired eyemask. Last but not least, there are murals and hangings to add a splash of color to your home. Handmade soap from scratch!Lavender Geranium RibbonSeaweed Salt ScrubOcean Fresh Cream SoapMaking your own luxurious and lovely soaps is easier than you think! 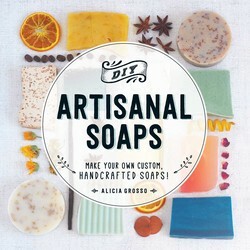 Featuring easy-to-follow instructions and tips for personalizing your designs, this book guides you through every step of soapmaking, allowing you to create unique bath and home products every time. Learn how to turn your garden or farmers' market finds into beautiful, handcrafted soaps, with invigorating scents like peppermint and rosemary or the summer-inspired pairings of ginger and papaya. You can even customize the fragrances and textures in the recipes to create the perfect product for your skincare needs. Picture this—it’s Saturday night, and you and your friends are sitting around asking the important questions: What’s your future Real Housewives tagline? What would your dating profile say if it were 100% honest? How do you hope to change in the next three to five years? You can answer all this and more in Fill Me In, part journal, part game, uniquely designed for friends and for fans of Wreck This Journal and Cards Against Humanity.Your twenties and early thirties come with landmark moments—graduating college, moving to new places, starting new jobs, and finding the perfect people to spend your time with. Now, with Fill Me In, you can capture and preserve those memories—and make predictions for the future.